Virginia’s agricultural heritage roots run deep, including long-standing animal breeds and heirloom produce. 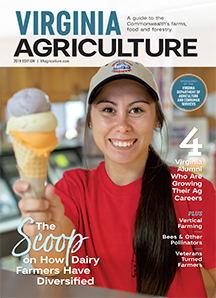 Both of these are not only an important part of Virginia’s agricultural history, but also, as many experts would argue, essential to the industry’s future. Most of the state’s heritage breeds and heirloom seeds are resistant to many diseases impacting modern agriculture. Preserving them will help strengthen the industry. “We work to preserve heritage breeds for their genetics,” says Chuck Neely, who owns Riven Rock Farm in Manchester with his wife, Lou Ann. Their 700-acre farm in Highland County specializes in gourmet, grass-fed beef, pork and grass-fed lamb. “A lot of these genetics will be lost if we don’t use them. We use heritage breeds to preserve Old World artisan flavors and meat profiles that modern agriculture left behind,” he says. The two have been raising heritage Gloucestershire Old Spot pigs for about five years. The Gloucestershire Old Spot breed dates back to the late 1800s when it was developed in the Berkeley Vale of Gloucestershire, England. They were sometimes called cottage and orchard pigs for their ability to forage for food in pastures or orchards. According to Neely, farm customers encouraged the couple to raise the heritage pigs. Riven Rock is one of several Virginia farms specializing in heritage and heirloom products. Blue Bee Cider in Richmond, for example, manufactures cider from the Hewes Crab apple, an heirloom variety that first appeared in northern Virginia in the 18th century. Southerners originally planted the Hewes Crab for home production of cider. Today, Blue Bee Cider – Virginia’s first urban cidery – produces more than 3,000 cases of craft cider each year. Another operation working to preserve heritage breeds is Leaping Waters Farm in Allegheny Springs. Alec and Sarah Bradford raise heritage breed hogs, including Red Wattles and American Saddlebacks, and heritage breed turkeys. Also on the 1,000-acre farm is the rare Ancient White Park breed of cattle, which dates back more than 2,500 years. 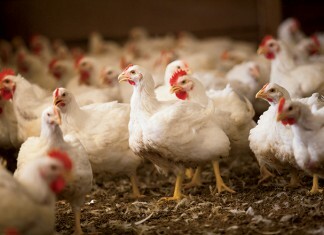 Today, fewer than 1,000 of these animals in the nation are registered. Both Riven Rock and Leaping Waters have found an eager customer base among high-end restaurants in Virginia and along the East Coast. A champion of sustainability and agriculture, Thomas Jefferson grew more than 330 vegetable and 170 fruit varieties in his gardens at his Monticello estate. Today, the gardens thrive with many of the heirloom varieties planted by the avid gardener during the early 19th century. The Heritage Harvest Festival at Monticello celebrates Jefferson’s legacy as a scientist and revolutionary gardener, showcasing the strength of Virginia agriculture.